Millions of ballot papers have been sent out yesterday to those eligible to vote in the Labour leadership election. Symbolically enough, this happened the day Tony Blair, the British PM who launched the criminal war in Iraq, published his controversial memoirs. 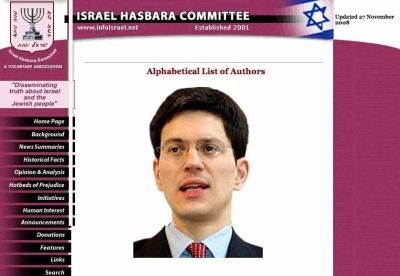 I hope that the Labour party rids itself of David Miliband and the kind of ideology he promotes. This party is already liable for enough death and carnage. This party made us all complicit in a colossal war crime. The Labour party better depart quickly from its moral interventionism and remind itself what labour ideology is all about.